After Samsung invited me to the media first look of the Galaxy S6 and S6 Edge back in March, I finally received a review unit this month for a more personal experience. 5 months on, there are already too many reviews and opinions on this flagship device. Also, a new set of Samsung Galaxy smartphones will be announced tonight, so I shall not write a lengthy feature-by-feature review. Rather, I will share what I like and what I do not like about the S6. 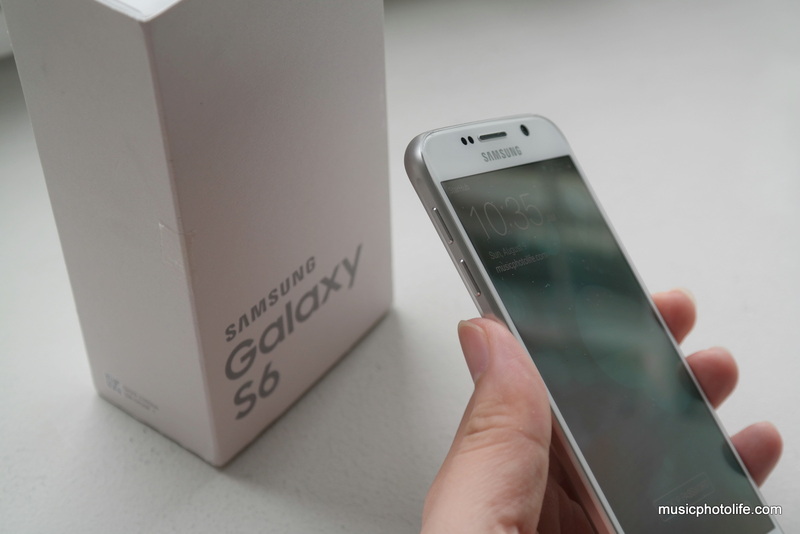 The S6 is made of non-synthetic materials, with glasses on both surface and metal finishing at the sides. The front and rear glass are treated such that it feels sleek to the finger touch, like Teflon. 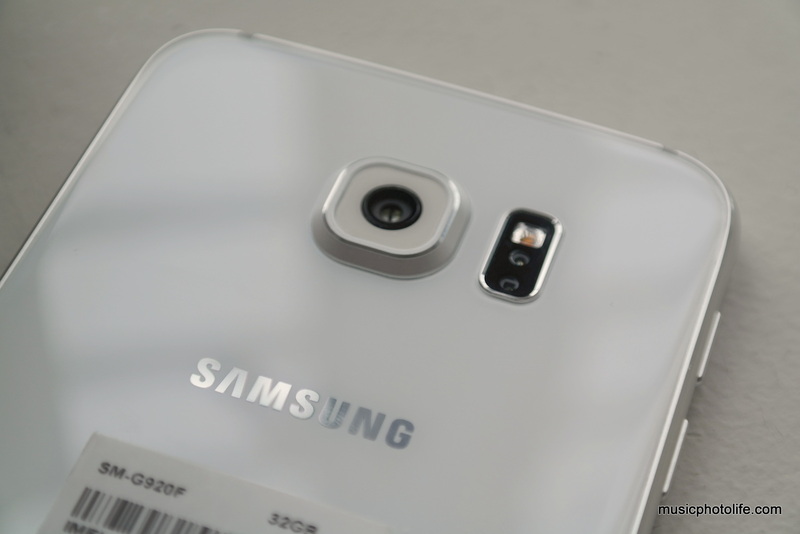 The rear surface also has a slight curve (known as 2.5D) around the sides giving the S6 a less cutting feel. Its 5.1-inch design is thin and compact, for consumers who like their smartphones to be not so overwhelming and large. Of course, all these tactile experiences can only be enjoyed if you do not cover the phone with protective casing. The S6 is built with top specs. 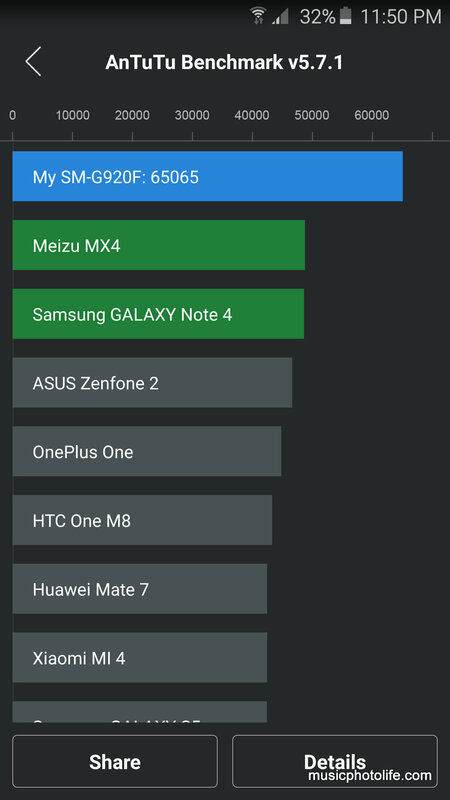 The 64-bit 8-core 2.1GHz Exynos 7420 processor is over 20% faster than the Galaxy Note 4 on AnTuTu benchmark. The 16MP f/1.9 camera quality is still excellent. The fingerprint scanner now scans with just touching the home screen, which is really convenient to unlock the phone or verify selected apps on the phone without having to enter the password all over again. There is wireless charger, heart rate sensor, fast charging. Battery drain is average for my kind of use. 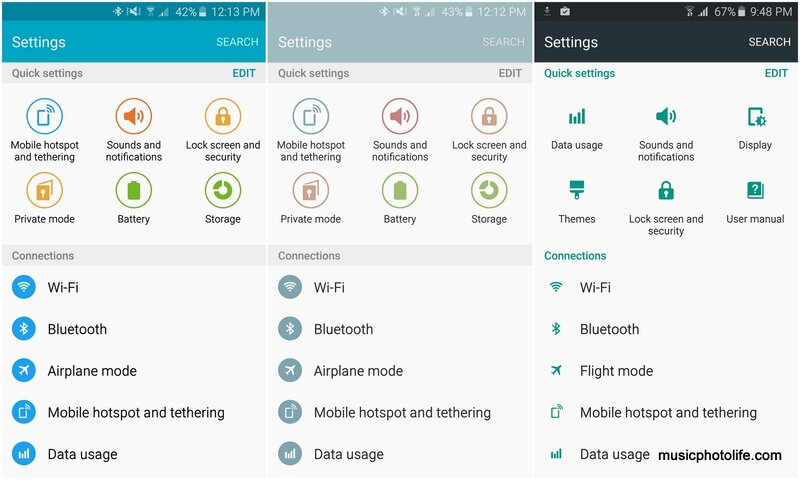 The S6 TouchWiz UX has delivered a few minor enhancements, although they might not be as comprehensive as other brands, but nonetheless a right direction. For instance, you can install themes to tame the colours of the Settings pages and the background colour of the notification drawer to look more professional. I also like the ability to change the home screen grid from 4×4 to the now-popular 4×5. 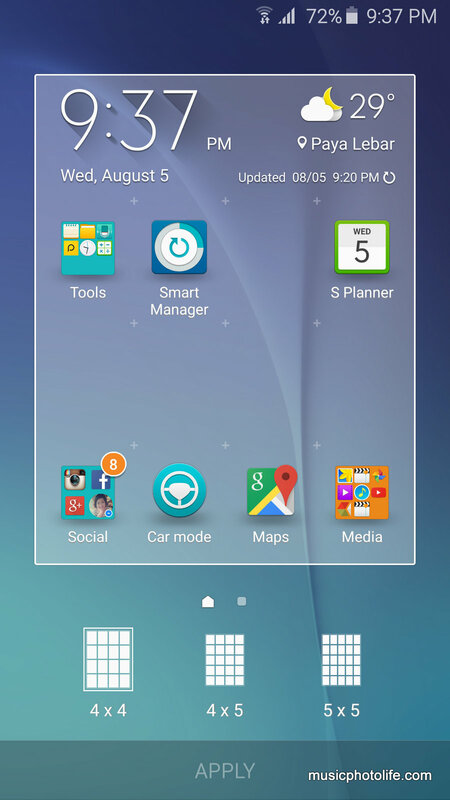 The 5×5 may be too small for the S6 but it would work better on larger screen devices like the upcoming Galaxy Note 5. As Samsung promised, I can launch the camera app swiftly by tapping the home button. I also have 3 ways to trigger the shutter: on-screen shutter, volume button, or the heart rate monitor below the LED flash. Now you have the option to install only the camera modes that you intend to use, which reduces clutter and saves phone memory. 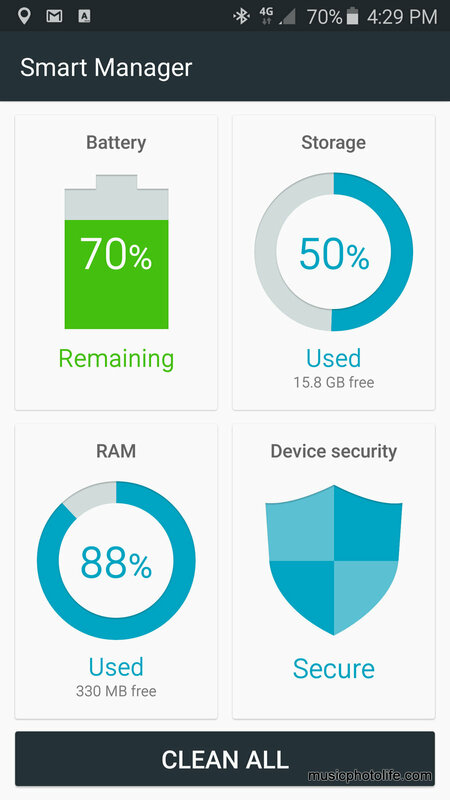 The app gives you an overview of the S6 and helps you optimise the device in a single view. 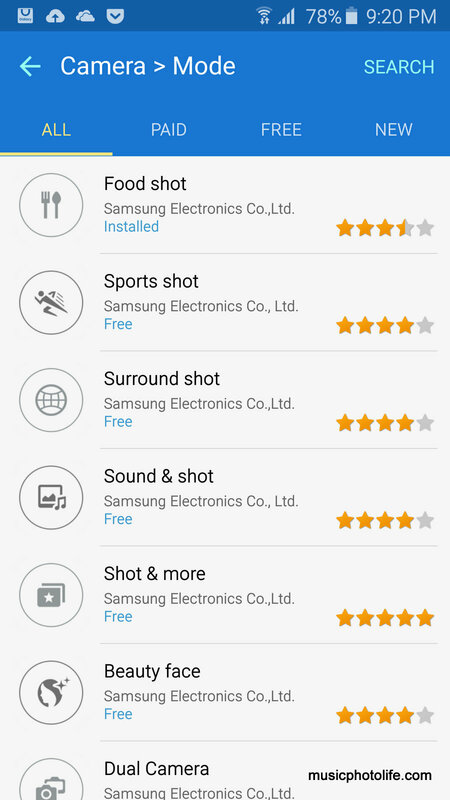 Samsung to offer Galaxy Life reward program to S6 owners to enjoy perks and discounts by redeeming the rewards via the app. The rewards are refreshed regularly and you might get some good deals, though in limited quantities. Through actual use of the S6 did I uncover areas that made S6 a less desirable device, for me at least. I cannot sort my apps in the app drawer, and Samsung seems to be the only Android device that does not have this capability. Hopefully, future firmware updates will bring back the feature. I was puzzled at how poor the Samsung S6 Bluetooth audio is, despite having aptX codec. The treble is terribly compressed and distorted. There must be a bug somewhere, or it could due to multiple Bluetooth devices connected at the same time which causes the phone to downgrade the wireless audio. I love how fast the camera starts, but when attempting to review recently-taken photos, it takes several seconds to load up, freezing the screen during the process. It is rather embarrassing to see the phone in a non-responsive mode as I was trying to show the awesome photos to peers. Overall, I was not excited with the Galaxy S6. No doubt there are impressive hardware, and there are software improvements to delight existing Samsung Galaxy upgraders. However, other smartphone makers have been delivering innovations with competitive pricing. As a rational consumer, I am not enticed to purchase the Galaxy S6 as I could get similar hardware and software features from other smartphone brands at half the price. In every sense of the word, Samsung may have lost the edge. 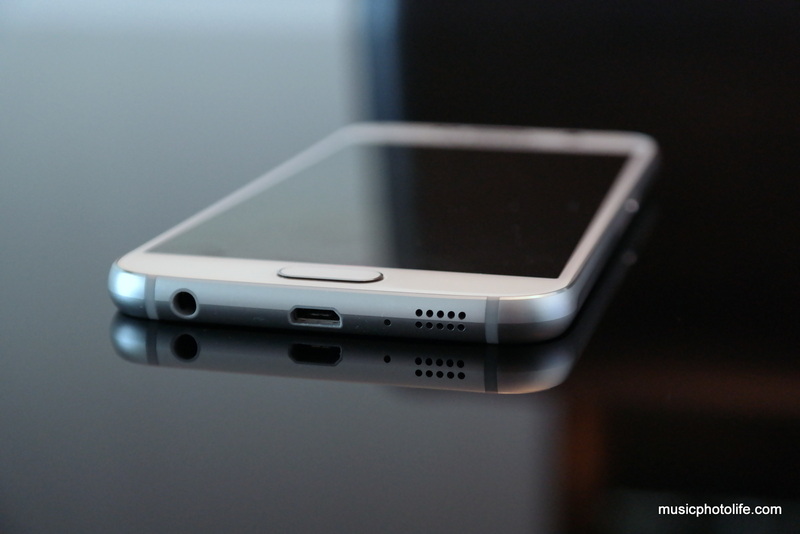 Pingback: Samsung Galaxy Note 5 and Galaxy S6 edge+ : Hands-on Review - Music.Photo.Life.